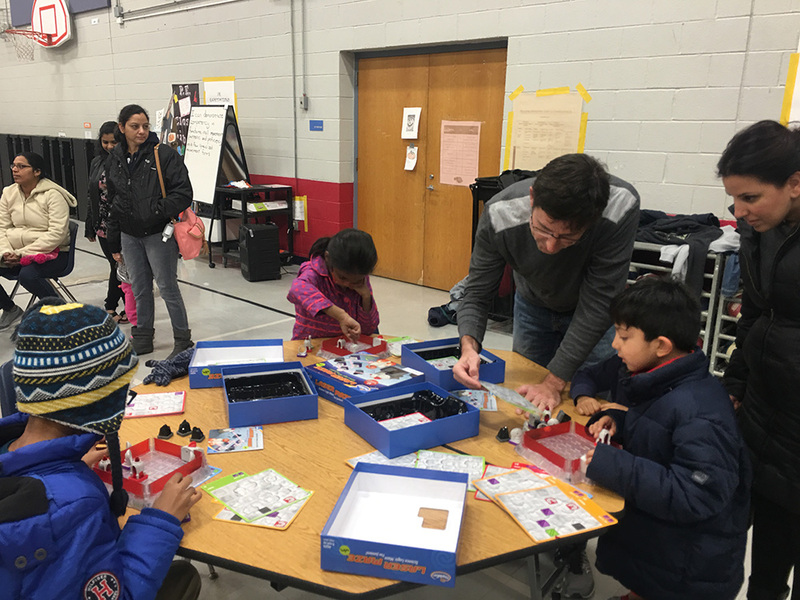 This post is part of a series authored by local PTA leaders who received STEM + Families Mathnasium Math Night grants. They share practical advice and lessons learned from planning and hosting their events. 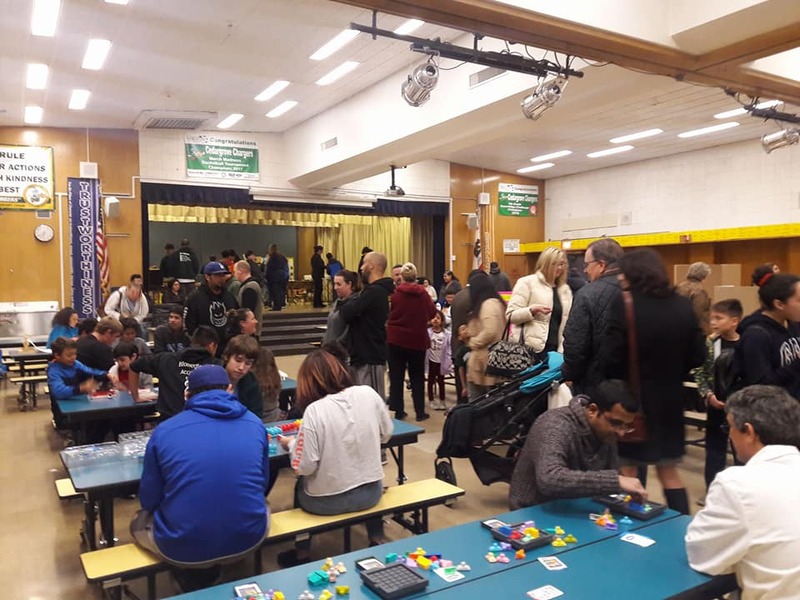 The Penngrove Elementary School community was elated to receive the news that we were awarded a 2018 National PTA STEM + Families Math Night Grant, sponsored by Mathnasium. 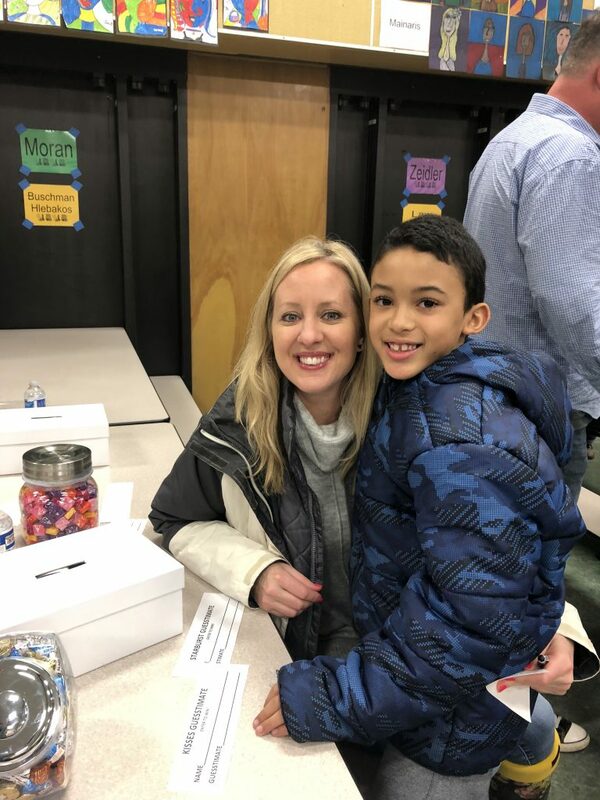 The Friends of Penngrove PTA executive board enjoyed planning the event and loved seeing all the happy faces of our families during our event Wednesday, Jan. 16, 2019. Despite the huge winter rainstorm that evening, we thankfully had a record attendance. We had over 225 attendees and 25% of our students attended! Our local Mathnasium transformed our school’s multipurpose room into 16 math stations plus a jumbo chess game, festive balloons and candy jar raffles. The executive board checked in guests and sold logo wear. School leadership helped with marketing the event via assemblies, announcements and encouraging teacher involvement. The grant from National PTA was used to supply dinner and purchase enough raffle prizes for each student participant. The first 20 RSVPs received their choice of a ThinkFun game and then every 15 minutes we invited 10 more students to visit the prize table. They were able to select prizes from additional games, logo wear and pizza certificates. This was a highlight of the evening! We decided to try three new things when planning for our STEM + Families Math Night. Creating the RSVP form allowed us to secure the proper amount of supplies, volunteers and prizes. It worked so well that we started using RSVP forms for other free PTA events. Providing dinner was a relief to parents and the students loved eating in the classrooms with their friends. 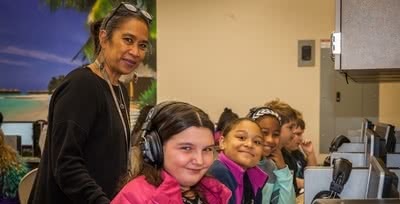 By asking our school staff, student teachers and local high school students to volunteer to run the stations, the majority of adults in attendance were able to be guests and play math games with the students. Everyone loved the event and we are planning on inviting Mathnasium back to Penngrove Elementary during the 2019-2020 school year for another successful collaboration. The #PennPanthers were so appreciative for the National PTA Grant—thank you for the opportunity to celebrate our community with a free, fun and educational evening! Melissa Morelli is the Treasurer of Friends of Penngrove PTA. Over the last six years, Becky has co-hosted one to two Math Nights each month in her area. For her, the key elements for success are the relationships she builds with each school, creating open communication between her team and the PTAs. Becky’s intention is to be a partner to her local PTAs, letting her take the pressure of the event—from set up to clean up—so the families can relax, and have a good time with their kids. Her fundamental goal is for families to see that Math doesn’t have to be scary. There are simple things parents can do at home or anywhere with fun games allowing them to have conversations and experiences with their children around Math. Spread the word about the event. Send home fliers with students, emailing directly to parents, adding the event to the PTA’s website. Her Mathnasium location hosts a Facebook group which is shared out by the PTA as well. Provide food: This doesn’t have to be a cost! Becky has helped PTAs partner with other local business like Chik-fil-a to donate dinner to the event. Prep for event set-up: Becky has created a set-up map she shares with schools to make organizing the event space a breeze. She recommends two stations per game, dividing by grade, and having them side by side so parents with kids of different ages don’t have to split up. Becky is a single-center owner and one of Mathnasium’s Math Night pioneers. Mathnasium used some key learnings from observing her practices to develop the official Math Night programing. Disclosure: Mathnasium is a Proud National Sponsor of National PTA and a Founding Sponsor of National PTA’s STEM + Families initiative. 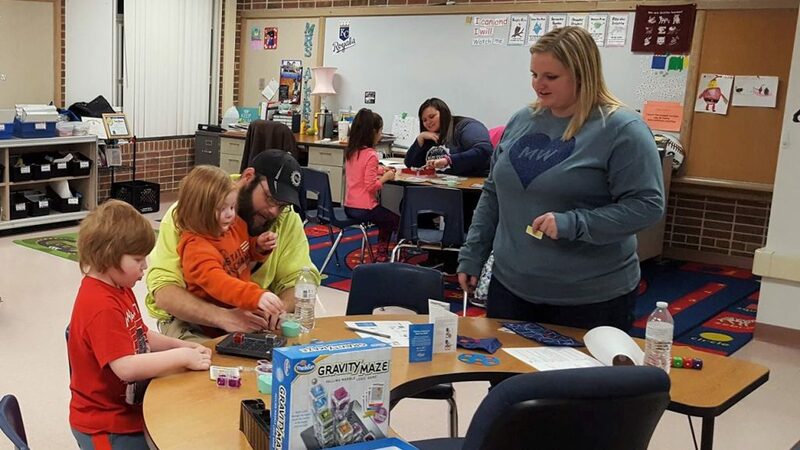 The local PTA spotlighted in this blog was a winner of a 2018 – 2019 National PTA STEM + Families Math Grant, sponsored by Mathnasium. The author was not compensated for this blog post and the author’s opinions are his/her own. Our local PTA had a problem: We needed a way to get our teachers involved in our PTA events. Thankfully, we heard about the National PTA STEM + Families Game Nights and thought it presented a perfect opportunity! We were fortunate to win a bundle of ~50 ThinkFun games during the 2017-2018 school year. 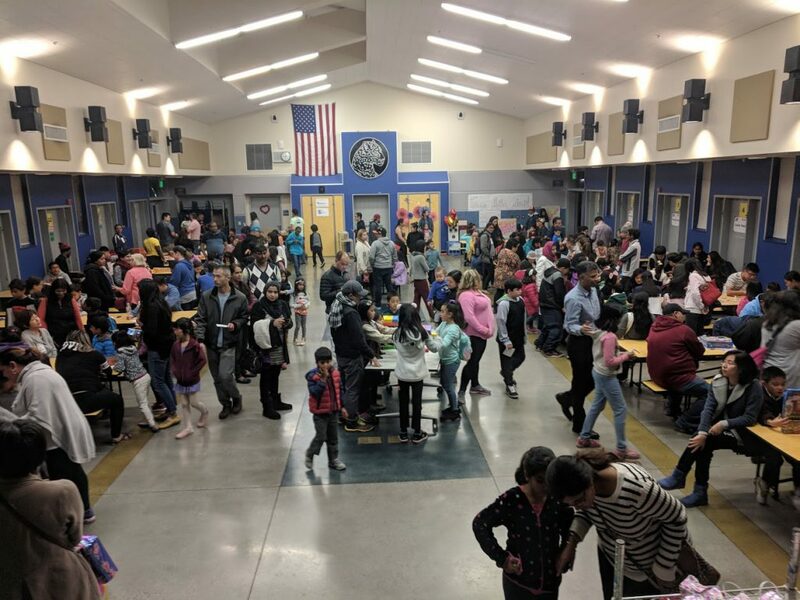 Our goal for the school year was to get our school community out and interacting, and winning the games was a perfect opportunity to have a fun, low-cost community night. This game night was definitely a winner and we’ll be hosting it again this year! Here are a few of the biggest lessons we learned. We believe one of the best decisions we made about running the event was asking our teachers to sign up to run the games. The teachers who participated learned the game prior to the event and ran the tables to teach the participants how to play. In exchange, the teachers received a classroom set (four copies) of the game they chose. Teachers also encouraged their kids to come to the event to play games. In addition to event marketing via teacher excitement, we advertised the event by sending home flyers and creating huge colorful dice and large dominoes out of donated boxes. These large colorful game props caught the eye of parents as they dropped their kids off and served as a great reminder as the event approached. Overall, we had around 250 people in attendance at the event. It was very fulfilling and encouraging to see the full room at the event. Families moved from table to table to play games—if kids got bored they could move on, and if they were having fun they could play the same game all night! All event participants (adults and children) filled out an event survey and the surveys filled out by the children were used as a drawing entry to win the extra games. 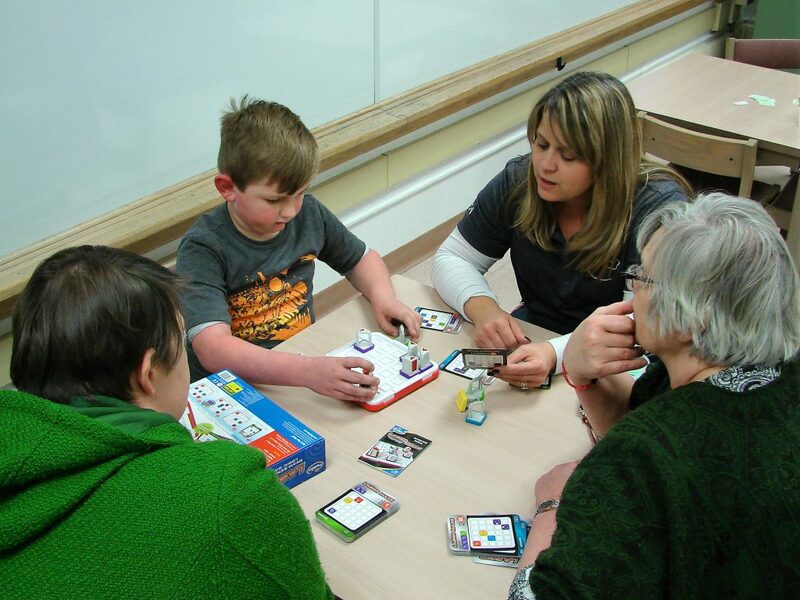 There were a few favorite games among our attendees—Clue Master, Gravity Maze, and Math Dice. The enthusiasm of the teachers running the tables definitely drove the interest levels in the games! For the event, we chose to offer pizza slices and water for sale. Our overall costs were recovered through families buying the pizza and water, but we did overbuy pizzas and were giving away whole pizzas by the end of the night. Fun PTA events don’t need to be extravagant or complicated. Often a simple event can be the most fun. Remember that along the way there can be hiccups like extra pizza remaining or that a few game pieces go missing, but one of the most important parts of running a successful PTA event is the feeling that the participants walk away with afterward—a feeling of being included and supported in a vibrant, diverse, and active community. About the Guest Contributor, Amy Jorde: Amy Jorde is the PTA President at Pearl Zanker Elementary School in Milpitas, California. Curtsinger Elementary School PTA had a problem. We wanted to give our families bonding time and grow our membership, but it was becoming harder to grab families’ attention for evening programs. So, we sent out a quick survey to our families. We discovered a desire for more info about science, technology, engineering, and math (STEM). But how could we make that fun for kids? The National PTA had the answer. We saw an opportunity for a ThinkFun Game Night grant, so we applied and thankfully received 48 games. 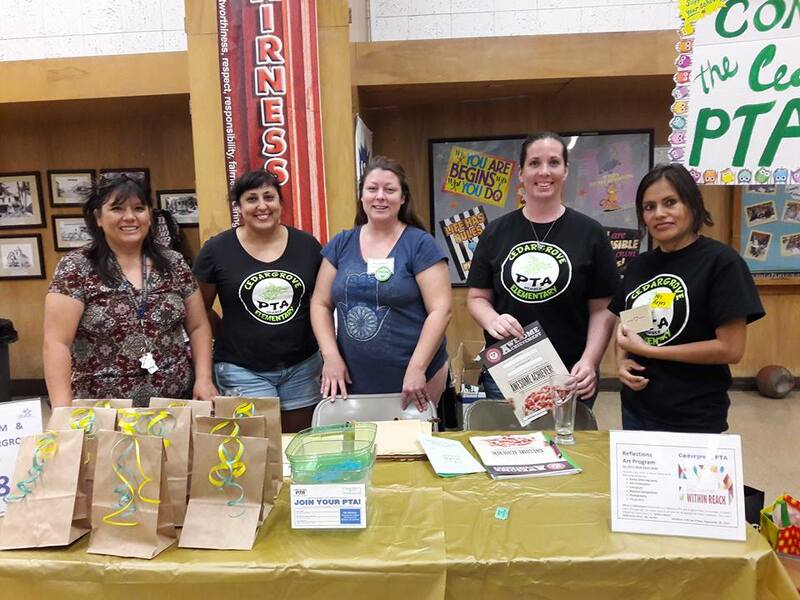 Our local PTA members got together with the school librarian and counselor and came up with a plan to cater to all our students, Kindergarten to fifth-grade. To entice more families to come, we announced six STEM game giveaways. Then, our counselor contacted the high school to recruit student volunteers to help facilitate the game stations. We divided the gym into sections and created game stations for each grade level. We were ready to have some good old-fashioned fun. Or so we thought! We had such an overwhelming turnout that the librarian had to provide additional board games to ensure that all students were engaged. 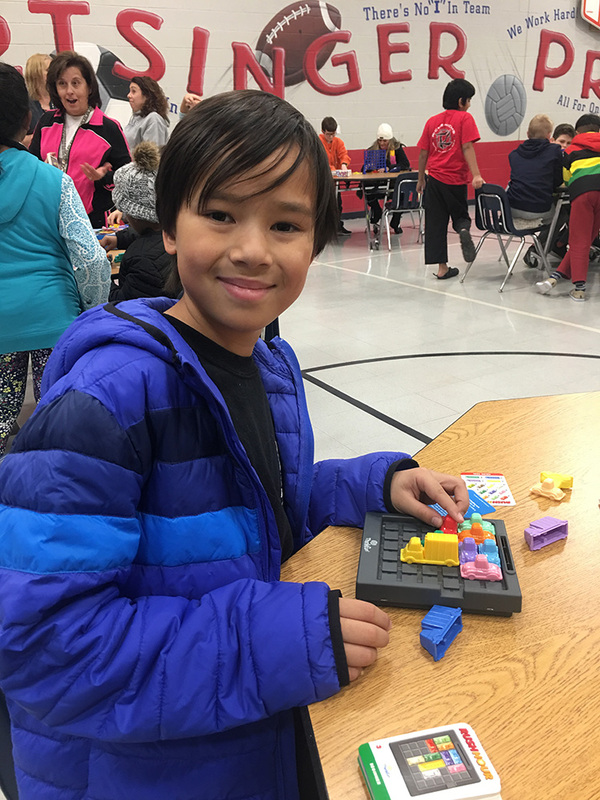 We were so pleased to give our families the STEM programming they desperately wanted. As the night progressed, it was a little chaotic with most of us not knowing how to play the new games, but thankfully we had several math and science teachers there playing and learning the games with students. In the end it was perfect, because we gave all the games to the library and the teachers could check out the games at any point throughout the rest of the year. 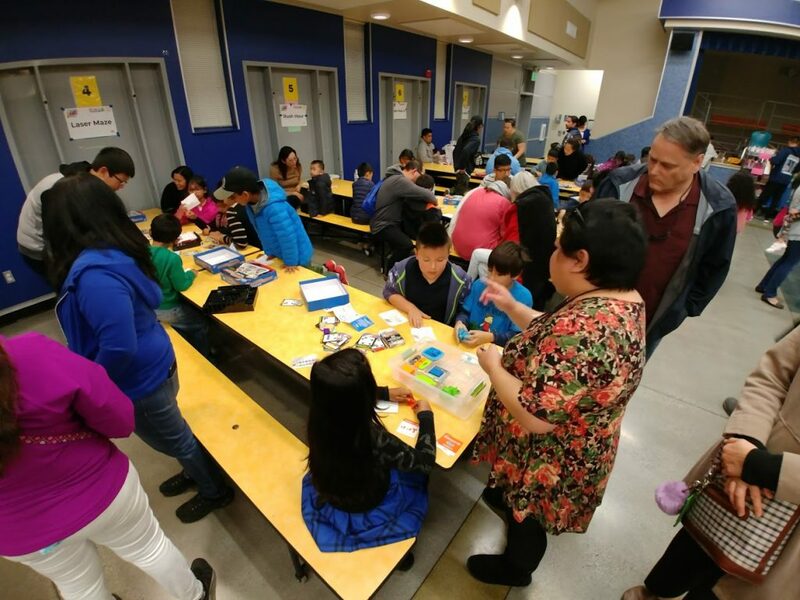 In addition to the ThinkFun Family Game Night programming, we were also able to incorporate a parent education night during the event. Our guest speaker gave us practical tools to handle the stresses in today’s society and upcoming standardized tests. We had a great response from parents saying they had no idea they were adding stress to their kiddos and they were grateful for the tips and words of encouragement. So, this all being said, get creative with your event! This didn’t cost us a dime! Will we do another Game Night? Absolutely! This year we are adding a sponsor from our community that has fun coding games for the kids. If you’re going big…why not have real Rock ‘em Sock ‘em Robots? About the Guest Contributor, Aliina Plunk: Aliina Plunk is the PTA President at Curtsinger Elementary School in Frisco, Texas. High school students have a lot on their plates these days. Having to re-take an SAT or ACT test due to a low score shouldn’t be one of them. 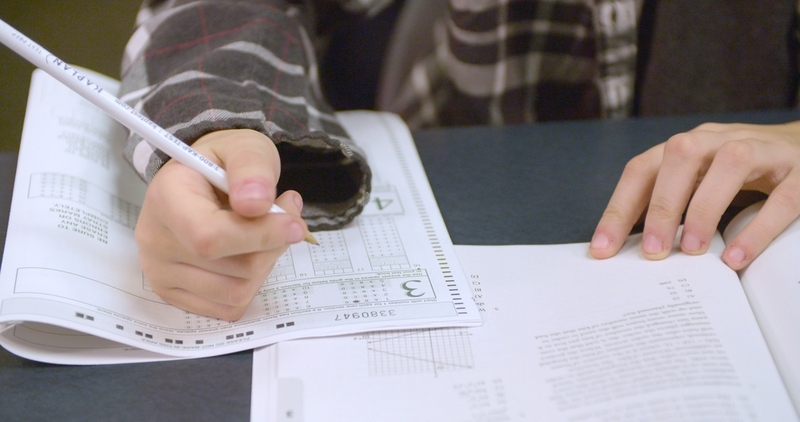 March2Success, a free online, interactive program created to enhance ACT, SAT and standardized test performance can help better prepare your students for important exams. 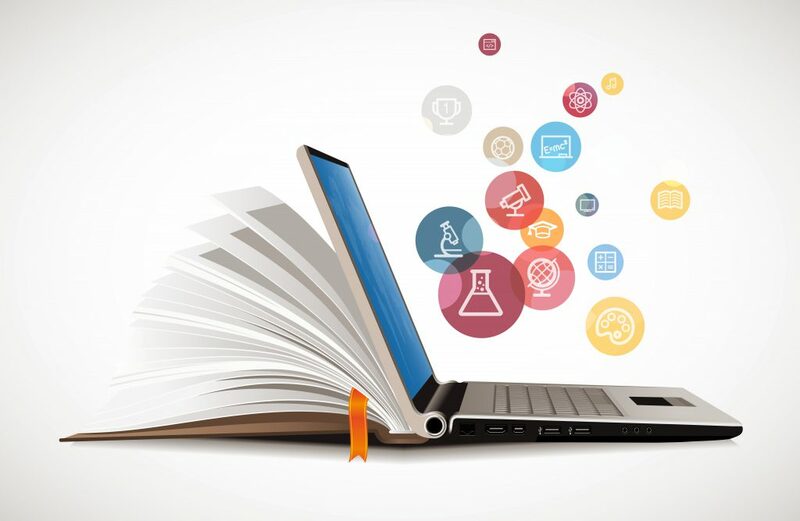 From high school science, math and verbal skills to college readiness and planning tips, this online resource has the tools and information students need to succeed in the classroom and beyond. The U.S. Army-sponsored March2Success program features curriculum designed by Peterson’s and the College Options Foundation. It offers a full prep course for the ACT and SAT to complement ACT and SAT full-length practice tests and provides cutting-edge assessment capabilities and education content in an easy-to-use, self-paced format that is available 24/7. In addition to practice tests, March2Success offers a variety of study materials such as flashcards, lessons and interactive video games to make the program user friendly for many learning styles. For students interested in a career in healthcare, March2Success recently added full-length practice tests for the Medical College Admissions Test (MCAT), the Dental Admissions Test (DAT) and several nursing tests, making March2Success an even more valuable resource for students. Also new this year, March2Success now offers health and wellness resources to improve the health and fitness of students and their families. The Army’s Performance Triad focuses on creating and sustaining healthy behaviors of sleep, activity and nutrition; because peak mental performance, just like optimal physical performance, is important to the U.S. Army and our nation. Parents and teachers can use March2Success to monitor students’ progress toward their goals, view frequency of site use, and have the option to manage their students as individuals or groups. Teachers can conveniently group students by the classes they teach, grade levels or student needs. The U.S. Army is fully committed to strengthening the education resources for our Nation’s youth and this program is the first step. Using March2Success requires no obligation to the U.S. Army. To start using March2Success, visit march2success.com or watch this video to learn more. Jose A. “Tony” Castillo is Education Chief for U. S. Army Recruiting Command. In his role he oversees several outreach initiatives and promotes Army education resources designed to help young people explore various career paths and succeed in their post-secondary future – as professionals and as citizens. Just like children don’t stop learning when the final bell rings, great teaching doesn’t stop at the end of the school day. 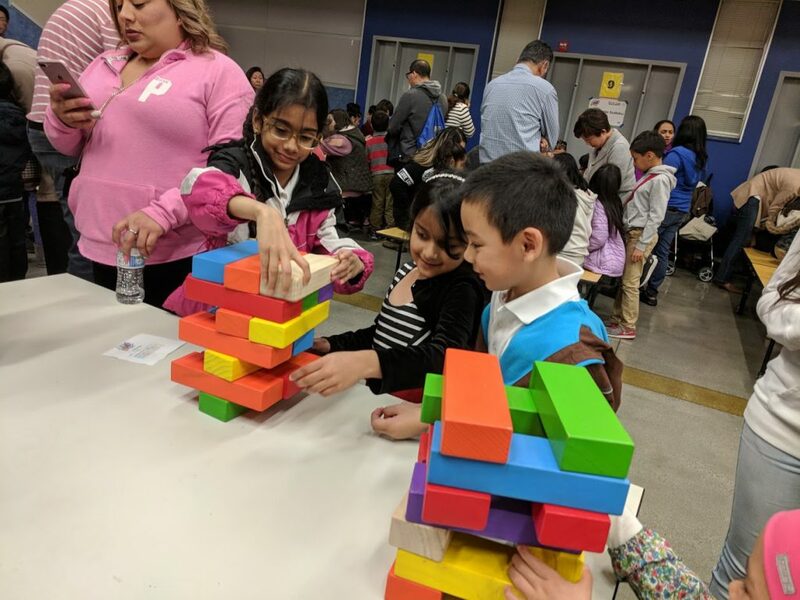 Across the country, teachers, parents, and community members are coming together more and more frequently to host STEM nights to get families thinking about science, technology, engineering and math through interactive, hands-on, engaging activities. 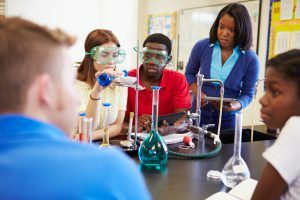 The National Science Foundation (NSF) is proud to support many dedicated teachers who plan and lead STEM nights at their schools. 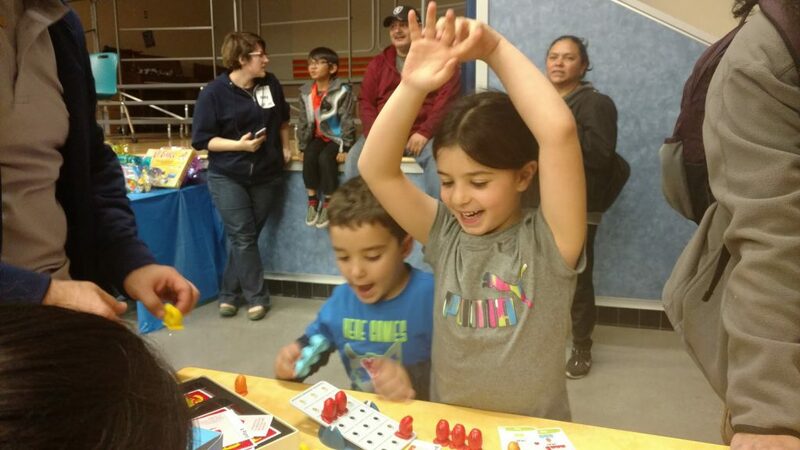 Michelle Estrada, a kindergarten teacher at Desert Hills Elementary in Las Cruses, N.M. has been hosting STEM nights in her community for seven years. She is a recipient of the Presidential Awards for Excellence in Mathematics and Science Teaching (PAEMST), the nation’s highest honors for K-12 STEM teachers, which NSF administers on behalf of the White House Office of Science and Technology Policy. As a Presidential Awardee in 2010, Michelle was invited to Washington, D.C., to take part in the National Recognition Events, received a signed certificate from the President and left with a $10,000 award from the National Science Foundation. When she returned to New Mexico, her experience as an awardee motivated her to continue to improve her teaching, seek out new resources for her students, and engage her local community in more collaborative and effective ways than ever before. In 2009, Michelle applied for the Toyota Tapestry grant, a partnership between Toyota and the National Science Teachers Association (NSTA) that provided annual grants to science teachers across the United States. Her proposal focused on the Rio Grande, which cuts right through Las Cruces, less than ten miles away from Desert Hills Elementary. 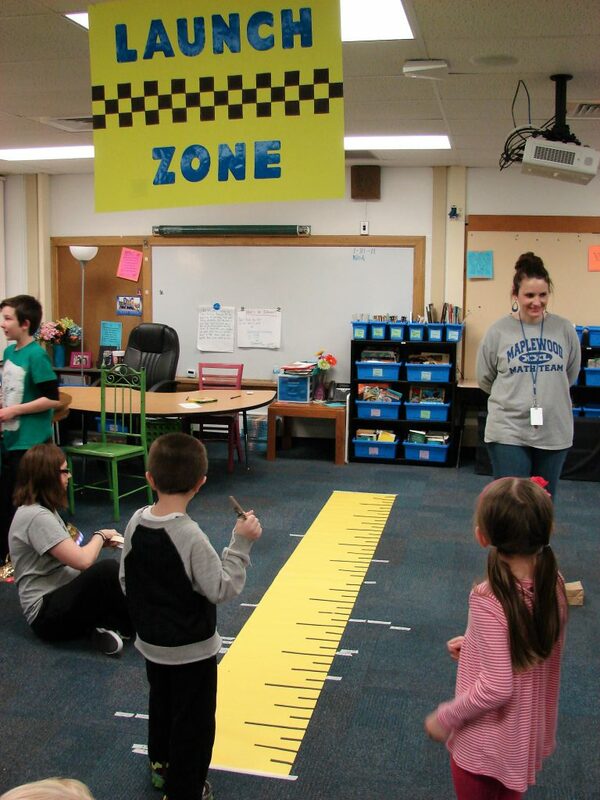 She planned a collaborative and immersive series of events for her kindergarten class composed of field experiences, hands-on activities, demonstrations by local scientists and community educators, inquiry-based experiments, and a variety of cross-curricular studies. She was awarded $10,000 to fund her project, and Sensational Science Night was born. 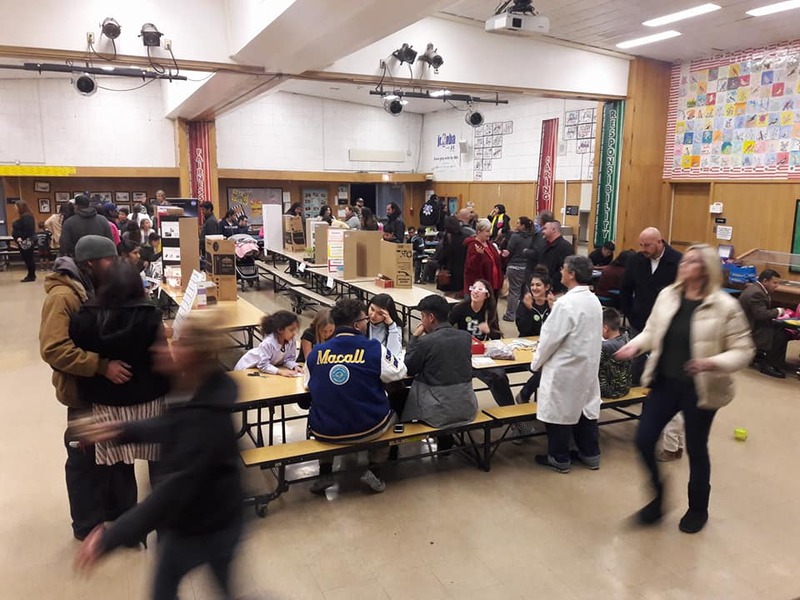 At the first Sensational Science Night, 30 expert-volunteers from the community came to share their knowledge and inspire students and parents to be more curious about science. Since then, the event has more than tripled in size: in 2016, 30 organizations were represented by over 100 expert-volunteers, and more than 400 participants flooded the halls of Desert Hills Elementary. They all spent their evening exploring, designing, and thinking critically with one another. 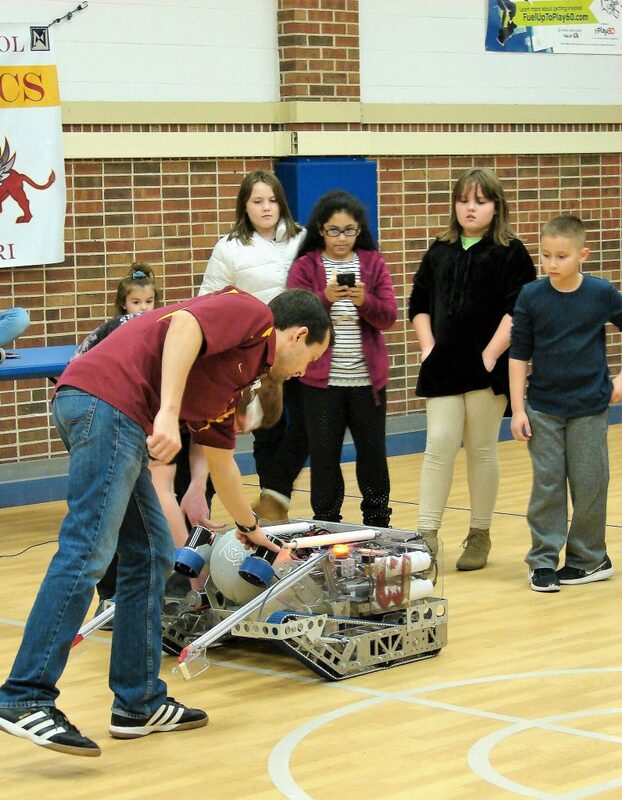 STEM Nights are unparalleled opportunities to engage the community with the local—or even national—scientific community, and let students know what it looks like to be a scientist in practice. At Michelle’s event, students were able to interact with pharmaceutical students from the University of New Mexico, chemical engineering students from New Mexico State University, local museum curators with displays from their traveling collections, local firefighters teaching fire safety and fire science, and a local Astronomy organization which provided telescopes for student use. The National Honor Society chapter of a local high school took over an entire wing of the school and facilitated hands-on activities, launching paper rockets, creating bouncy balls and making ice cream in a bag. Michelle didn’t stop at inviting the local science community—she invited local food trucks which offered dinner options on the school grounds, donating a percentage of their sales to fund scholarships for Camp Invention, a STEM summer program at Desert Hills Elementary. Over the years, Michelle says the name of the event has changed to keep up with its popularity. Once Sensational Science Night, the moniker shifted to Sensational STEM Night, and this year morphed again into Magnificent Sensational STEAM Night (reflecting her decision to include the arts). We’re excited to see what it will be called in 2018. To learn about how you can honor great teachers in your community with a PAEMST nomination, please visit our website at paemst.org. Nominations for K-6 grade STEM teachers are currently open. For resources on how to host a STEM night at your school, check out National PTA’s new STEM + Families webpage. Dr. Nafeesa H. Owens is a Program Director of Presidential Awards for Excellence in Mathematics and Science Teaching Program Lead at the National Science Foundation. Across the nation, Mathnasium’s neighborhood math experts are working with PTA’s parent leaders toward a common goal—building stronger communities through quality education! Becky McDaniels, owner of Mathnasium of Brandon, Fla.—and a dedicated PTA member for over two decades—is a great example of this collaboration. “PTA does so much for teachers and schools, and I wanted to be a part of it and make a difference,” Becky recalled. As a mom and former teacher at public, private and charter schools, Becky’s worn many a PTA hat. She’s served on her local unit’s board, penned newsletters, driven fundraising initiatives from the ground level, bridged the gap between parents and educators as teacher liaison and served on event committees. 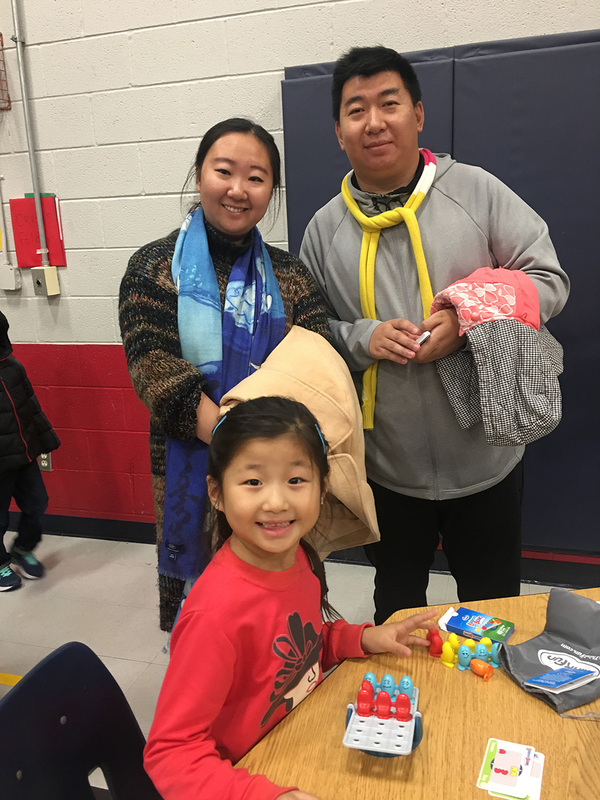 Mathnasium’s collaboration with National PTA through the STEM + Families initiative provided yet another avenue for Becky to show support once her children left school and she transitioned out of classroom teaching. Now a business owner and STEM advocate, Becky’s math expertise takes center stage. 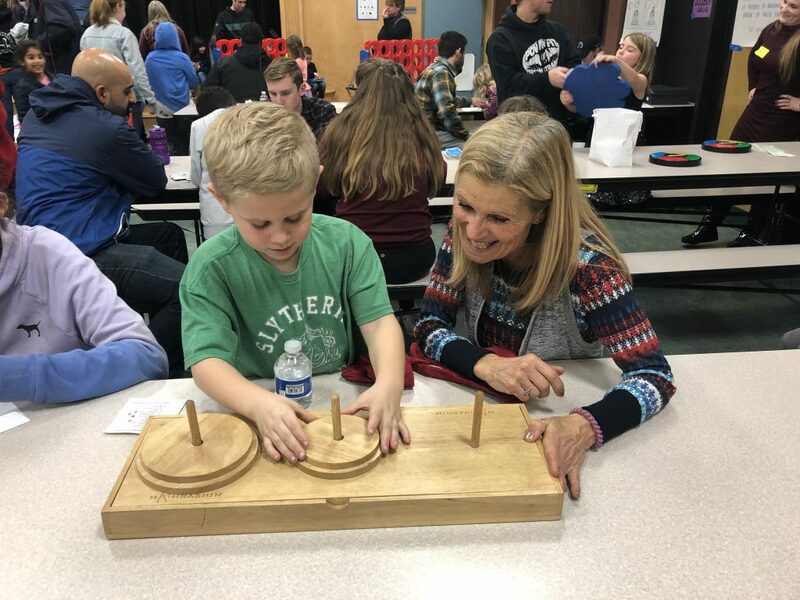 Whether she’s presenting at PTA meetings, engaging families through fun in-school math nights or contributing to fundraising efforts, Becky’s clearly in her element. Many years after her first PTA meeting, she still finds it incredibly fulfilling to see a large scale project come to fruition and glows happily with every “thank you” she receives. Colleen Horan Green, PTSA vice president at Randall Middle School, offered one such “thank you” to Becky. “Mathnasium of Brandon sought us out and became actively involved in supporting our events,” Colleen recalled. 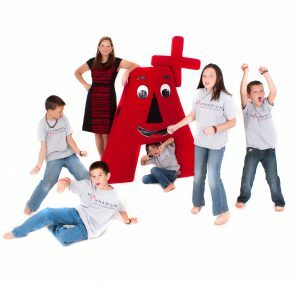 For Becky and her team, the future brings more school sponsorships and fundraising as they host the Mathnasium TriMathlon the weekend of November 5 and 6. Mathnasium donates money to schools for every student who participates in this fun, free math competition. Find the event nearest you and help raise funds for your PTA! Damaris Candano-Hodas is the Marketing Communications Coordinator at Mathnasium Learning Centers. Mathnasium is a Proud National Sponsor of PTA and was invited to contribute a blog post as a benefit of this relationship. National PTA does not endorse any commercial entity, product or service. No endorsement of Mathnasium is implied. Learn more at PTA.org/Sponsors.